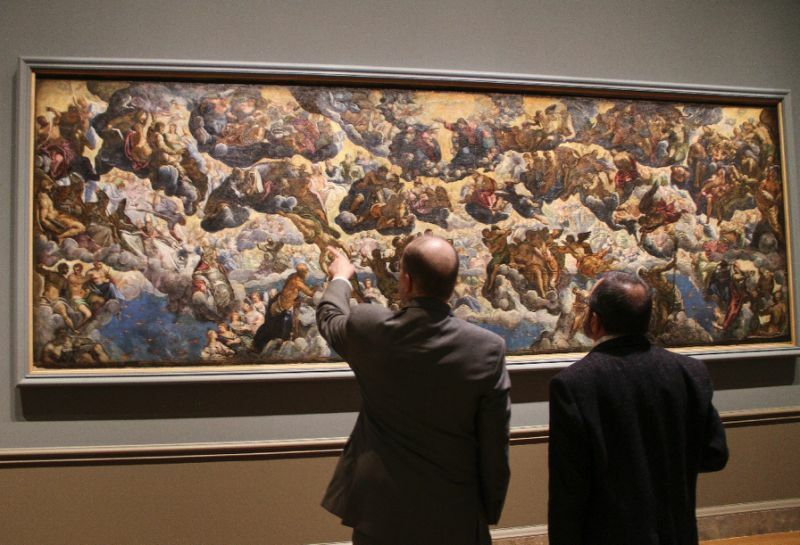 First major Tintoretto retrospective outside Europe to open in Washington - SABC News - Breaking news, special reports, world, business, sport coverage of all South African current events. Africa's news leader. When he was just a teenager, Tintoretto was sent to Italian Renaissance painter Titian’s studio, only to be kicked out within days because the older master got jealous. Or so goes the legend. The eponymous scene happens in one corner of a canvas otherwise dominated by extravagant, zigzagging brushstrokes deliberately left clearly visible, then a groundbreaking innovation, to depict events like horses tumbling down an outdoor staircase. There’s a proliferation of superhuman, hyper-muscular bodies sometimes tumbling out of the sky and almost always in motion, as though Michelangelo’s sculptures themselves were brought to life with unharnessed energy in an explosion of colours. “We would make the case that it’s possible to draw a direct line from Tintoretto’s dynamic compositions and eloquent brushwork through (Peter Paul) Rubens to (Eugene) Delacroix and (Theodore) Gericault and right on up to (Willem) de Kooning and to the abstract expressionists and to painters of the present day, such as Gerhard Richter,” said co-curator Robert Echols. Museum officials through the ages had to contend with his oeuvre being rooted in Venice, works by assistants and followers being wrongfully attributed to the master and the pieces’ colossal size. His “Paradise” in Venice’s Palazzo Ducale is considered the largest Old Master painting in the world at some 70 feet (21 meters) wide. A preparatory oil sketch crossed the Atlantic instead. Painted entirely by the artist, unlike the larger work completed for most part by assistants, it’s still more than 16 feet wide. This entry was posted on 24 Mar 2019,07:22AM at 7:22 AM and is filed under Lifestyle, Homepage Featured Story Slider. You can follow any responses to this entry through the RSS 2.0 feed. Both comments and pings are currently closed.